If you are looking for cerebral science fiction stories that meticulously explore the outer limits of known science, Roland Emmerich is not your guy. The auteur behind the 1996 alien-invasion movie Independence Day and its new sequel, Independence Day: Resurgence, is all about spectacle over subtlety. (2012 and The Day After Tomorrow are also his handiwork.) Blowing up cities? Check. Sciencing the sh*t out of things? Not so much. Taken on its own terms, though, the first Independence Day was a lot of fun and—beneath the popcorn-chewing action—smarter than it looked. Emmerich’s best idea was not trying to give his aliens convoluted, ludicrous motivations. Instead he envisioned them as a rapacious swarm, roaming instinctively from planet to planet in search of resources. The sequel maintains that premise and supersizes it, in the inevitable Hollywood style. I spoke with Emmerich to find out more about his aliens, his vision of a post-invasion Earth, and the challenges of trying to top a movie that was already rather over-the-top. In the first Independence Day you depicted the aliens as something like space locusts. How did that conception evolve in the sequel? Emmerich: They’re more like bees, actually, and when they arrive it’s more like a natural disaster than an invasion. They are only interested in multiplying; they’re like a cancer in the universe. What we did going from the first movie to the second one is we added more of a hive mentality. We already realized in the first movie that the aliens are all connected, and that they could get into people’s brains [via telepathy]. This time around we realize that they have a Harvester, a kind of queen. They’re all connected to her and she’s connected to them; she can make the ships go and form a vortex. Then in the next movie there will be…a huge surprise. I’m sure you’re not going to give away the surprise, but I’m guessing the third movie involves a visit to the alien’s planet. They have a base of operations, right? Oh yes, they have a homeworld, and they have a social structure there that’s like a hive structure. How did you come up with the appearance of your aliens? Did that also take inspiration from real biology? For the first film, I had started a lot of the design work with [production designer] Patrick Tatopoulos. He started asking, what should these aliens remind you of? I had Area 51 in mind, so they had to look a bit like classic aliens, the Grays. Then I said, these little dudes, they do not look very frightening, so Patrick drew a fearsome alien. We decided, why don’t we use them both? One is the biomechanical suit and the other is the alien itself. This was our invention because we didn’t want to show only these little guys running around. They weren’t very frightening, but their biomechanical suits did look frightening. You also show new aspects of the aliens’ technology, especially a different class of spaceships. What was your thinking there? This time the motherships come to Earth. The harvester queen comes in a ship that is more than 2,000 miles in diameter, and she lands that ship on Earth. That’s naturally something that isn’t going to happen without any effect! It’s all make believe in the movies, so I always trying to come up with impossible images. The first idea I had for the sequel, I knew I had to come up with something that would make people say, ‘Oh my God, I haven’t seen that one.’ The idea was to have this enormous, enormous ship that would latch on to Earth like a big spider. It has legs it hangs on sit on different continents. In the first movie you see the 12-mile wide ships hovering over cities, like putting a roof over these cities. This time we pretty much put a roof over the whole Atlantic Ocean. I realize the Independence Day movies are fantasies, but they also exist in a specific social context. The new one seems to reflect a post-9/11 mindset. Is that what you had in mind? For the second movie we said to ourselves: This is a post-war society, with the added complication that when the ships went down [in the first movie] there was a signal that went to deep space. That could only be a distress signal, meaning that there were other aliens out there that will come and probably want to get us. That threat keeps the world united. It’s a world where every nation does its part to build the Earth Space Defense organization, feverishly trying to build weapons out of the left-behind alien weapons. They’re taking alien tech and building it into human fighters before the aliens come back. That’s a totally different world than our world. That premise reminds me of Watchmen—a shared threat that brings the world together. Do you think we could use a bit of that in the real world? Sometimes you think that, because you see how divided our world is. Events like what happened in Orlando make you think about this. I hope not! But it does seem like we need some common threats to unite. We discussed the idea a lot, it stands at the center of our new film. There’s the added complication in the new movie that the older generation promised the younger generation that yes, you can do it [win the war]. Then it seems like they can’t do it, actually, that the older generation lied to them. There’s been some debate about whether it would be a good idea to broadcast signals to alien civilizations. Given the tone of your movies, I’m guessing your answer is no? Sure, sometimes you wonder if there is somebody hostile out there. But think of the kind of distance have our signals have gone, maybe 70 or 80 years since the first strong radio broadcasts. We’ve been broadcasting our existence out there, and I don’t know how to stop that. We can’t build a shield around our Earth to stop radio signals. Do you really think there is intelligent life elsewhere in the universe? I don’t think, I believe. I hope. It would be the most exciting thing that has ever happened, certainly in my lifetime, if all of a sudden we would be sure there is life out there. I naturally hope it’s not aliens like I portray in my films! Nice ones. On the other hand, look at us when we go out and we land in new places, like the Spaniards in America. We brought death and destruction, we erased pretty much whole civilizations. In that sense, I’m skeptical that the aliens would be good. “a post-9/11 mindset” If you don’t kill your enemy, you still have your enemy (9/11). if you do not kill your enemy’s children, you still have your enemy (ISIS). If you do not end your enemy’s philosophy, you still have your enemy (Japan). Crusades or native Amerindians, half-measures will not do. Should we exterminate the war-mongers? It came to pass. Peace is now war, war is now peace. It is now, “You would risk a nuclear war over THAT? To disable tyranny, Go for the Eye at the top of the pyramid. 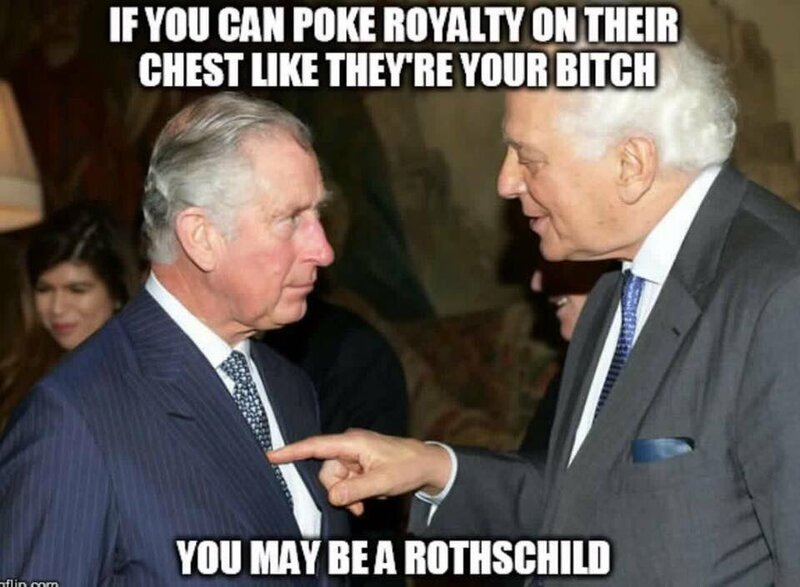 Everyone reporting to the Rothschilds — stop. Do not participate in the Carbon Disclosure Project — as a start?